Talking Point: Which SNES Games Do You Want To See On Nintendo Switch Online? What are your must-have picks? While it's by no means written in stone, a recent datamine suggests that we may soon be playing SNES games on our beloved Switch consoles via the wonder of Nintendo Switch Online. The games uncovered in this datamine are Super Mario Kart, Super Soccer, The Legend of Zelda: A Link to the Past, Demon's Crest, Super Mario World 2: Yoshi's Island, Stunt Race FX, Kirby's Dream Course, Pop'n Twinbee, Star Fox, Contra III: The Alien Wars, Kirby Super Star, Super Ghouls 'n Ghosts, Kirby's Dream Land 3, Super Metroid, Super Mario World, Pilotwings, F-ZERO, Star Fox 2, Super Punch-Out! !, The Legend of the Mystical Ninja, Super Mario All-Stars and Breath of Fire II. Not bad for starters. That list reads like the usual suspects; most of those games have already been available elsewhere, and even Star Fox 2 – the only real shock on the list – was previously made available via the SNES Classic Edition. 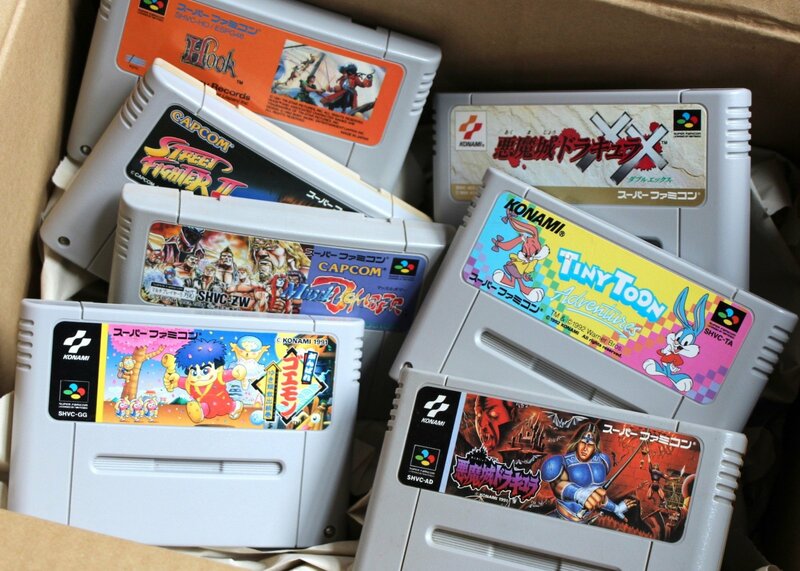 Of course, whenever news like this breaks, the natural thing to ask is which games you'd personally like to see come to the service; those 22 titles are a solid start without a shadow of a doubt, but given the amazing library of the SNES, there are bound to be some essential picks that aren't included – as was the case with the aforementioned SNES Classic Edition. For example, why has Super Castlevania IV been left off the list? Where's ActRaiser, one of the most unique early SNES releases? Why is there no love for Axelay, one of the best 16-bit shooters of all time? We also notice that other gems like Secret of Mana, EarthBound, Chrono Trigger, Super Mario RPG and Final Fantasy III are conspicuous by their absence. And, as we've maintained from day one, any SNES game list that is missing the utterly sublime Super Tennis isn't complete, if you ask us. Assuming SNES games are on the way for Nintendo Switch Online – and assuming that Nintendo adopts the same approach of releasing three new games per month – there's ample time to rectify these (and many more) omissions. But which games do you absolutely want to see on the service, without fail? Let us know by posting a comment below. A localised version of Seiken Densetsu 3. Those Disney games. Star Wars, Aladdin, Lion King, X-Men, Mickey Mouse, and many more like those included in Disney Afternoon Collection. E.V.O Search For Eden, what a game. Where's Donkey Kong Country? Does that belong to Rare? EarthBound, even though I still haven’t finished it on SNES Classic or 3DS VC, haha! I’d also love to see EB Beginnings come to the NES service since I never got that for Wii U VC. @Scottwood101 Nintendo owns everything pertaining to DK! Uhh....none. they've already been released countless frikkin times on the wii and wii u's VC, even the 3DS correct me if I'm wrong AND the snes mini.... Hasn't everybody here already experienced super Mario world, DKC, Zelda ALTTP, super metroid, mega man X ect for the ten thousanth time already? Good lord. It's old news. Either way I don't support the VC anymore. So what if the games are affordable when these emulations are inherent to input lag, along with your HDTV lag which makes for an undesirable less enjoyable and less response sluggish experience. Casuals won't care and even several hardcover gamers, but eh, I'm one of the few that just can't deal. No thanks, I'll buy the OG cart and console it was made for instead. Might be pricier but it's the best way to flyyy. I still find it weird that Super Tennis wasn't included on the SNES mini. Appart from the games datamined and the ones you mentioned (specially all those RPG classics), I'd add the DKC trilogy and Terranigma. With that, I'd be pretty much done. Illusion of Gaia would be nice. I loved that game as a kid. Sonic 3. Yep. Will happen. Never before played Kirby Super Star and really hoping I'll finally get to on the wonder that is Nintendo Switch. Also really hoping for a few that you mentioned, SMRPG, Secret of Mana, Actraiser and one that you didn't mention, FFIV. All games I've never played before and Switch is the perfect platform to finally get around to them. I’m guessing they’ve only listed the games that Nintendo has the full rights to or those it knows it can get. I’d love Terranigma on there but doubt it. Even though I paid through my nose for a copy. @Bunkerneath Snes Mario Kart online, that is the best idea I have EVER heard!!!!! But would also like Killer Instinct, Link to the past, Chrono Trigger, and of course a few others. Actraiser, Axelay, & Final Fantasy II are probably my favorites so those would be awesome. Just getting SNES games up on this thing would be a great start though, so let's get to it lol. Online enabled Goldeneye or Perfect Dark would be too good to be true. Although as a 1.1 honey user, I don't think I could get used to a dual stick set up for that game. Weird how my mind won't accept it only for those two. It will be difficult because Konami seems to almost make deals with Sony exclusively (hello? Castlevania Requiem? Arcade Archives of Konami games not being on Switch? ), but Turtles in Time would be great. Oh really? I didn't know that. Yeah, may-be, obviously there was the Xbox 2013 version, denoting MS control of it. Well, I just booted up my WiiU in Wii mode and had a look at my virtual console titles and theres a few there that were never released on the WiiU's VC service or the SNES Classic, however to be honest I really crave the Japan exclusive Fire Emblem games!! There would be more effort required for these with translations etc however to get the Earthbound Origins game proves theres an appetite and market, so I'd love to see that happen. @Gs69 If a game needs licensing it will usually be done with a specific use in mind. So any negotiations required for the use of third party games on the SNES classic with have little bearing on their use on Switch, unless Nintendo had the foresight to do the deal all at once. That's one of the reasons that the third party games on Xbox back compatibility take time. Royalties need to be renegotiated because original agreements did not foresee this situation. Hard to say, really. The SNES has the best library of any console in history, there's so many classics that I don't even know where to begin. Yoshi's Island is on there, aka my favourite game ever,that's all that matters. All hail our SNES overlords... Stunt Race FX!!! anything different from what has been released one million times in the past. I'd be down for any RPG goodness. Add some meat to the service. UN Squadron and Super Smash TV please. @Bunkerneath I know. But back then Rare was Nintendo. Those are my dream. I guess they have to put most of the big hitters out there fairly early on otherwise people will complain like hell. I'm happy that Star Fox is on the list, the game is notably absent from virtual console releases so far. I'd take International Superstar Soccer Deluxe, The Donkey Kong Country games if possible would obviously be great. Contra 3, Castlevania IV, Turtles in time, Zombies ate my Neighbours, Sim CIty, The Super Star wars trilogy, Sunset Riders, Rock n' Roll racing, Jungle Strike, Harvest Moon, UN Squadron, Sim CIty and Lost Vikings. Also don't release anything we can already buy elsewhere on Switch. Just devalues the service. In addition to 1st party, I’d want Mortal Kombat 2 with online play. An updated version of Mario Paint with the ability to share creations online (sort of like the unofficial PC version that's been floating around for years) & with 8 Bit / 16 Bit & N64 sounds. We can dream right?! Sanrio World Smash Ball. Absolutely brilliant. Area 88, Parodius and Super Tennis. @Gs69 Yeah unfortunately licensing is always really specific. The owner of the IP could sell it outright but if you have something like part ownership of Donkey Kong you'd be mad to sell it in one go. It will make money forever basically. KILLER INSTINCT, the SNES got a great port. That one is most important to me, still have my original cart....Would also like UN Squadron, and MK2....I know the Street fighters are coming...but since the arcade versions are already released on cart in the Anniversary collection it's less important to me. Being able to play those on a possible future SNES wireless controller like the NES currently has would be pretty dreamy! @Medic_alert if anything that increases its value for subscribers though. @Trajan and annoys everyone who spent money on the games. Super Mario RPG and the Final Fantasy titles. @Medic_alert Jungle Strike would be superb but knowing EA probably unlikely. Such a shame that series has been abandoned for so long. @OorWullie Oh I think the chances of getting most of those third party titles is minimal. Nintendo won't want to pay and the third parties would be more likely to release their own versions. I mean I'm surprised more haven't the way indie games sell on Switch. They'd sell a tonne. @Medic_alert By that logic then the NES and SNES classic would piss off Switch users. Get two controllers and a system with games to keep forever for the price of two wireless controllers. @THENAMESNORM 2nded for the Japan Fire emblem games. @Trajan That's not the same at all. For a start a mini system that plays a certain number of games is a different product entirely. I am free to be able to choose to pay my money for a Nes classic or the online service or both. If though I own SF 30th collection and a number of SF games start coming to the list then I have paid twice. I have no choice in the matter because there is no news or official information to say this is happening at all so I cannot make an informed choice. This is even more relevant for people who bought digital because they get precisely nothing extra for their money in fact because you have no choice but to download the games you just lose storage for nothing. King of Dragons. Probably the best game to come out of the beat 'em up craze of the 90s. I would love to see Puyo Puyo Tsu Remix which had 4 player support. Also some Panel De Pon. @Medic_alert The stotage argument doesnt make that much sense since each SNES game is only about 4mb. The entire library takes up less space than the Switch OS. @RadioShadow You beat me to it. Yes, puzzle games. The Tetris/Dr. Mario combo, Tetris Attack, Kirby’s Avalanche. Yoshi Island is one of my favorites, and then many other fantastic titles ... SNes is Amazing!! Has someone said Ogre Battle yet!? ...and Tactics Ogre. @Gs69 Could be. There could be a time limit on the license or it could be specific to just one collection and renegotiating the license may be more expensive than it's worth. Or the company may have decided just to not include it for their own reasons. Where licensing can get really complex for games is where there are licensing issue within the licensing agreement. So for instance Crazy Taxi had a load of licensed music from bands like the Offspring. Because those licenses often don't make sense financially for a re-release the game either doesn't make it to market at all or bits are changed i.e. the soundtrack to re-releases of crazy taxi is totally different. @Trajan I accept that the file sizes are small but that was only part of the point and anyway if it was to happen multiple times this starts to add up on a system where storage is a limiting factor. Parodius, Plok, Prince of Persia, Smash Tennis (in lieu of Super Tennis) and Zombies Ate My Neighbours. Just Super Mario RPG, please. So anything from the SNES era would be great! @Medic_alert Yep there's a lot of licensing loopholes, and as you said some software companies might have already decided to release their own versions. For example Megadrive and Neo Geo Virtual Console are gone for good now that Hamster's releasing the Arcade Archives back catalogue, and Sega's bringing their own games over. Not counting software companies that are just plain dead. Actraiser, Cybernator and Wing Commander. Warp speed and NHLPA 93 for the hell of it. Super Metroid, Super Castlevania IV, Super Ghouls and Ghosts,Zelda Link to the Past, Super Mario World, The Super Star Wars Trilogy, The Disney Collection. I have a Wii U. I’m mostly good. I'd love some Actraiser. I'd probably play some Plok, Aaah Real Monsters, Robotron, Terranigma, E.V.O., Macross. None of that Scooby-Doo crap. Keep that far away from me. Uniracers (Unirally in the UK). It was an excellent original multiplayer racer. Everything on the snes classic. The other DKC games, old Square games (Illusion of Gaia, Actraiser 1/2, Terranigma etc), Ogre Battle man there are so many! Really hope this happens soon. My first priority would be getting Mega Man X2 and Chrono Trigger as their exclusion from the SNES mini was my biggest gripe with it. I'd love to see the SNES Dragon Quest games get localized, though I suppose a separate collection would be more likely. The list I would want would be too long for here. The SNES was a golden age of gaming for me and almost all of them have aged considerably better than NES games. Anyone that doesn't vote for Secret of Mana of Final Fantasy 6 is a SKEEZE. I want a version of Street Fighter 2, only because that will mean the Switch would officially have 3 different versions of the same game. I want Actraiser 2 and Skyblazer.Great games. But bring me that first list and you have another subscriber to that useless service! @MH4 Earthbound!! I keep saying to myself, "play this game"; and I too own a SNES Classic. But there's something about that game that screams portable. I'm hoping this is all true and Earthbound eventually gets released so I can finally play it on the Switch. In fact, if this gets released on the Switch, I promise to finally play it. Other than Super Mario RPG and Secret of Mana I have all the SNES games I really like on my 3DS already, and I have those two on other things, so honestly I couldn't care less. How about we slow our collective roll and wait for them to actually, you know, ANNOUNCE it before we get too far ahead of ourselves? To be honest, I don't get how there could be so much excitement about snes games. Don't get me wrong, I love them but---they've been released, save for Stunt Race FX which, to be honest, wasn't that great of a game back in 1994, and it's borderline unplayable now. I honestly prefer the current model for Switch's retro releases: it's out-virtual consoling (is that a term that works?) the original Virtual console by a significant margin, and giving the spotlight to some lesser known gems! If Nintendo is planning to bring SNES games to Switch Online, they're not gonna have every games from the beginning folks. It will start with those 22 games and then slowly adding 3 or less from there on out. That means the good games are not gonna come until much much later so y'all better make the best of it. Assuming the data mine is correct and taking those games out of the equation. Id like all donkey Kong games, castlevania games, secret of mana as I've never played much of it but really want to, or really any solid single player campaign games. Earthbound to finally play that on the go. Secret of Mana, EarthBound, Chrono Trigger, Super Mario RPG and Final Fantasy III about sums up the games I want to see. I'd rather pay to have access to them at any time (ive it bought any snes VC before). With that said I'd love to see some licensed titles TMNT 4 Turtles in Time, Mighty Morphin Power Rangers, MMPR the Movie, MMPR Fighting Edition, Power Rangers Zeo Racing, Castlevania 4, Castlevania Dracula X, Battletoads in Battlemaniacs.....etc! To keep it simple everything ever released on the system so that way no one is left out! N64 games. I have been longing to play Mario 64, Mario Party 2 and 3, Bomberman 64 and Donkey Kong 64. I skipped the Wii U after hearing of the NX. That Tiny Toon Adventures game you have in the photo for starters. Mario Kart with online multiplayer added. I've never played the SNES Castlevanias, so those would be nice to show up. Super Metroid on a portable for the first time (for me at least) would be welcome, but other than that there's no games I'm looking to replay really. Seeing the Tiny Toons game in the picture, I use to have that for my Super NES, would love to play it again. Fond memories playing it, in my opinion one of the best cartoon tie-ins I have ever played. I believe it was called Buster Busts Loose here in the US. Edit: I should mention, yes, this is a game I'd like to see come to the Nintendo Switch Online service, even though it may not happen due to licensing obviously. @Scottwood101 no.DK thankfully is all Nintendo so they could easily be added without a hitch. The ones they feel they can do something interesting with. I'm always in favor of people having access to The Ninja Warriors(Again), by Natsume. One of my absolute favorites on the system. Both Pocky & Rocky games, also by Natsume, are quite good. Dont get your hopes to high. I'd love to see the whole Soul Blazer trilogy of games, Soul Blazer, Illusion of Gaia, and being in the US would love to see Terranigma for the west since we never got it. I have never gotten around to playing it and would prefer to play it legally on the Switch. Another couple of games most wouldn't think of Robotrek, and Twisted Tales of Spike McFang. @RadioHedgeFund 8 player multiplayer added! How about some of the ones that are expensive to buy carts for like Hagane? Also i'm surprised no one in comments has mentioned The Firemen. Would "all of them" be a reasonable answer? Side note - I like how the classic mini console has a QR code that links to instruction manual scans. The online service needs this. And screw this comment rule that you can’t just leave one world. Plok! was all that needs to be said, yet I’m forced to write these words just so I can comment at all. Some of the great ones I haven’t seen represented are Super Double Dragon, Earthworm Jim, Shadowrun, and Yoshi’s Cookie. It’s a shame that two of my favorite SNES games of all time will never come to Switch because of licensing issues. Those being NBA Jam and Turtles in Time. Fantastic memories with those games and would be perfect for quick multiplayer sessions. Wait while I pass a final tear in my beer. And for everyone’s sake get those 8 bit and 16 bit Castlevanias over to the Switch. It’s seems like a horrible waste to have NES and SNES emulators without those masterpieces in the library. @BanjoPickles Yeah I hear you. Those collections so far have been great and a real bang for your buck. It’s just a shame so far nobody other than Capcom, SNK, Namco, and Sega have been trying to rerelease older games. Everyone just needs to keep expectations in check and not expect their obscure gem will make it over. @Medic_alert Great picks. The Lost Vikings would be great. Secret of Mana, EarthBound, Chrono Trigger, Super Mario RPG, FF4, & FF6. Chrono Trigger, Earthbound and my all-time favourite MARIO PAINT! What else do you need? 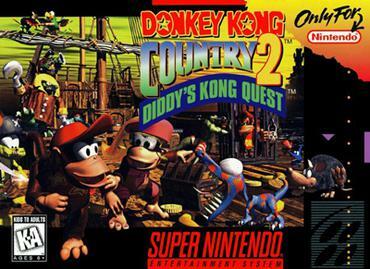 Chrono Trigger and Earthbound, but also why not all the Donkey Kong Countries? @Barbara001 I came on all eager to post Lufia because no one will, and it's the first comment. My favorite SNES game. Harvest Moon. Link to the Past. The Donkey Kong Snes games(only played them in a hotel room). Mario Kart Snes. Star Wars Snes games. All the Mario Snes games. Kirby Snes games. And more. RPGs that didn't make it onto the SNES mini like Chrono Trigger would be nice. @Mr_Pepperami It was my favourite tennis game until Virtua Tennis stole its crown on the Dreamcast. It was super playable from the get go and definitely one of my favourite SNES titles. @jbizzle812 Soul Blazer was great...had a good time playing through that. Also, gimme Zelda WindWaker HD and Paper Mario - The Thousand Year Door! @WaveBoy I don't agree with them charging for those games anymore where they had $7.99 that was a total rip off. I grew up with those games but i am all for getting them again if its included with a yearly sub of $20. Just gives more titles to play without spending a fortune for new games. And surely others awesome games that I don't remember in the present moment. SNES The best console ever!! 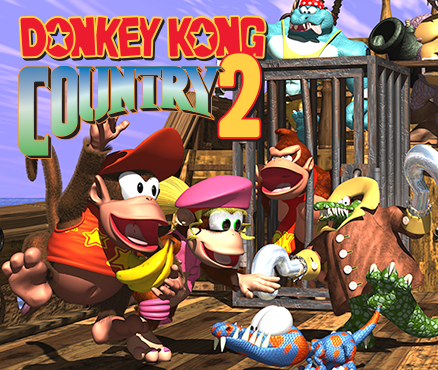 DKC trilogy would be awesome. Oh, and Tetris Attack as well!!! I'mean I never really had the VC experience as it came about when i stopped buying games consoles (Wii days i believe? ), however, growing up i owned many of the classic games on my original NES, SNES and N64. Nostalgia had already suckered me into buying the MINI NES and SNES which btw are both gathering dust! so honestly, i love retro but I'm over these old Nintendo games and quite frankly couldn't care less that they were coming to the switch online. I’d like The Chaos Engine because I can’t get it to work on my SNES mini. Lufia: Rise of the Sinistrals and Final Fantasy IV. Even if we would only get those two...it would make me play hundreds of hours again and I would even gladly pay for the eh, 'underwhelming' Nintendo Switch Online eh, 'service'. Lots and lots of good hitters mentioned already. Not much I can really add, so I'll just spit out a list and let it lay where it lay. Mostly just Mario All Stars + World, Super Mario RPG, Yoshi's Island, the Donkey Kong Country games, Chrono Trigger, ActRaiser, and Top Gear. If they could rig it up right Mario Paint would be amazing. Although even then I'd be vastly more inclined to just use my SNES Classic. A lot of great choices among you. I’d want to see Gameboy games with Super Gameboy features, personally. @VR32X Super Gameboy would be awesome! The whole point of Switch Online classic console content is to avoid having to pay over and over and over again. They can build up this offering and you get to choose whatever you want to play, rather than paying $5 per NES game, $7 per SNES game, $9 per N64 game, etc, and hoping that the experience is worth those $. Instead, you get all of the games in the service, along with online Smash/Splatoon/Arms/Pokémon/etc, for $20/year, and much less if you can find some friends or family to share the cost. You're not buying it again if you're streaming it a la Netflix. It's a much more economical way to play, especially if you were going to online multiplayer Smash anyway. Turtles in Time! Turtles in Time! Turtles in Time! 5. Ninja Turtles: Turtles in Time (pipe dream). @WaveBoy The Switch is my first Nintendo console. True, I have emulated a few SNES games in the past (I actually didn't know what a NES or a SNES was before I took an interest in emulation; though I played some NES games as a kid on bootleg hardware), but I would jump on the occasion to play some of those games, like Chrono Trigger, legally. Since the PC port of CT is awful I would more than welcome it on Switch. So no, not everyone has played or bought these games multiple times already, because not everyone jumped to buy every Nintendo console. It's not just "youngsters" who never knew those games either. Not to mention the console's hybrid nature makes it very easy to share playing those games with other. In fact the whole hybrid thing alone means I would want as many games for it as possible, even 30-year old ones. I'll still never get over what they did to the super Nintendo NA design. 😛 Everytime I look at the OG JPN console, controller even the carts it almost makes me want to shed a pixeling tear. super tennis damn it super tennis !!! Secret of Mana and Terranigma would be my #1 dreams, but it's probably not going to happen. As for what's in that list, Kirby Super Star and Yoshi's Island. While I still own an original SNES, the "best experience" for me is not having to sit in front of a TV. Been playing exlusively on handhelds since the DS for health reasons. The SNES, for me, was one of my favorite consoles of all time. It just had so much goodness to choose from. Chrono Trigger is one of the best RPG's ever made, so of course I'd love to see it there. For the Nintendo Streaming, however, I doubt they'd drop a title of that caliber. Most likely, they will add Nintendo franchise titles, and maybe a few others they can still gain the rights to. Aside from the staples, like Mario World, DKC and Mario Kart, the games I'd most love to see are New Horizons: Uncharted Waters, Super Mario RPG, and Earthbound. All of Capcom's SNES releases please. And for the dungeon crawlers! I remember UN Squadron, Desert Strike, Prince of Persia and Super Star Wars being particularly good. Plok also deserves to be on that list for its soundtrack alone. Smash TV---lots of mindless fun--BIG MONEY!!! !